“Handcrafted at Melbourn Bros’ tiny brewery set in a time warp in Stamford using the old manually operated brewing equipment. 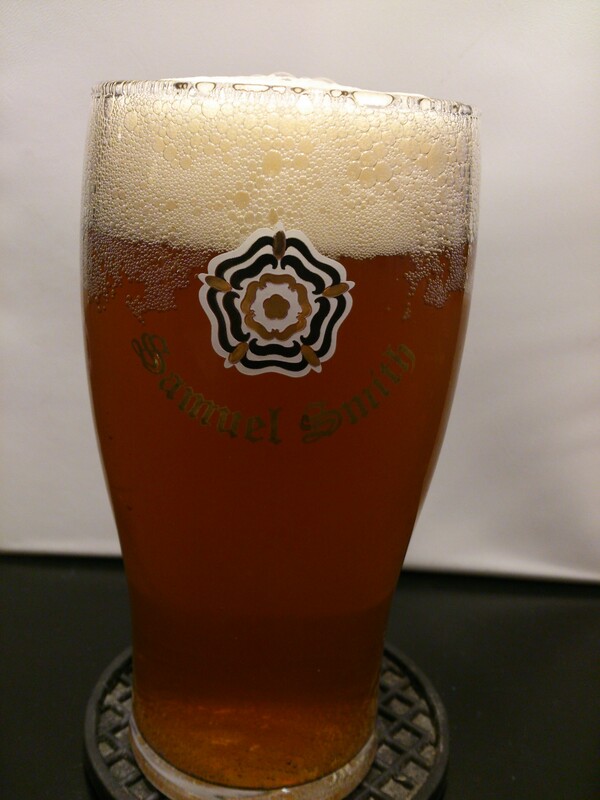 Finest organically grown barley and wheat are used to create a complex ale which, having undergone primary and secondary fermentation with different yeasts and extended maturation, is taken to Samuel Smith’s small, independent British brewery at Tadcaster. 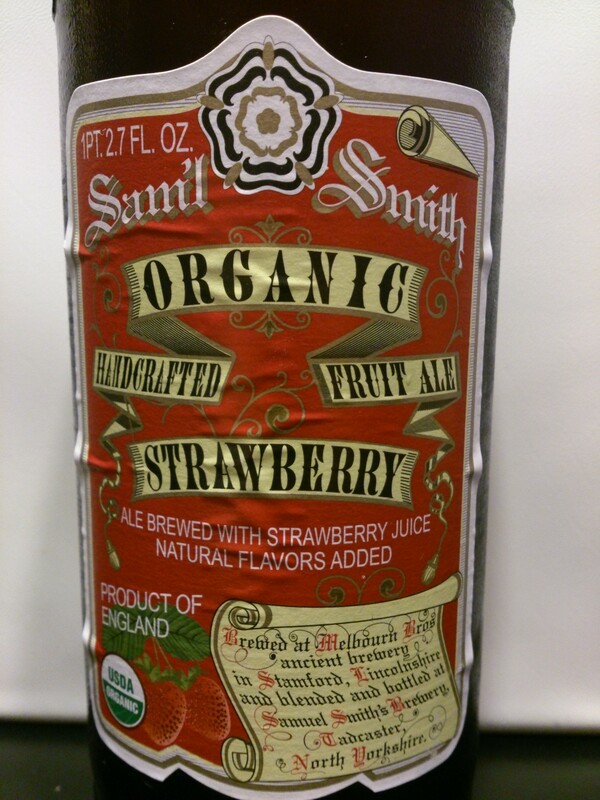 There it is blended with pure organic strawberry fruit juice and a previously cellared organic brew-creating an unparalleled fruit ale. The smooth distinctive character of the matured ale serves as the perfect counterpoint to the pure organic fruit juice.” 5.2% ABV. 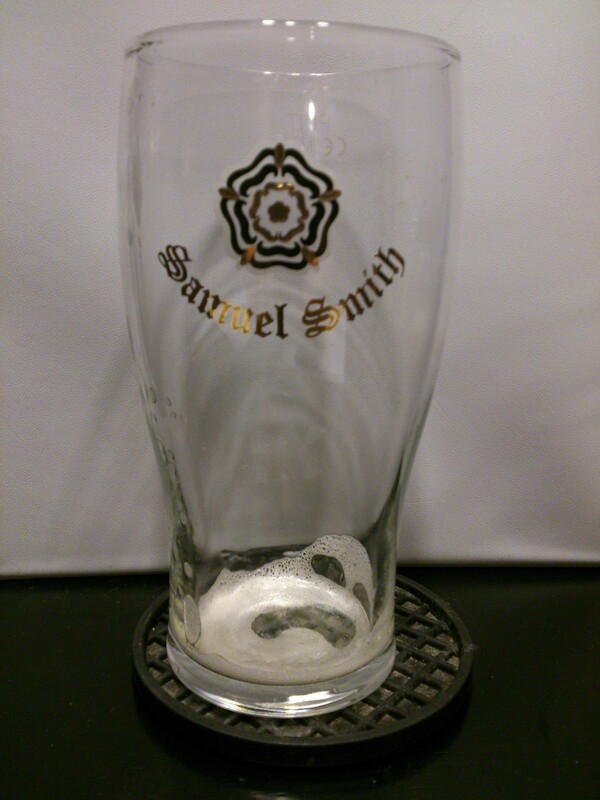 Poured from an 18.7 oz bottle into my Samuel Smith tulip glass. 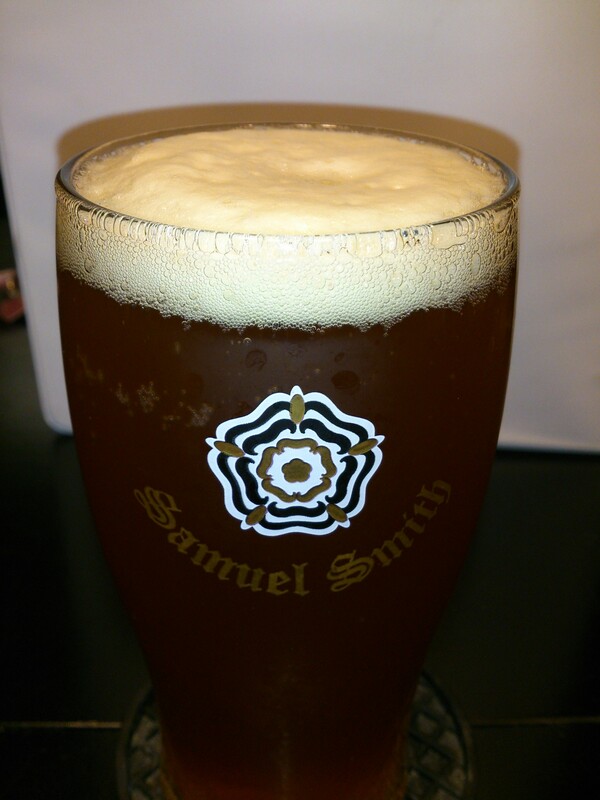 It is a hazy amber color. The head poured about 2-3 fingers, was light and sudsy and dissipated quickly. Little lacing was left on the glass. 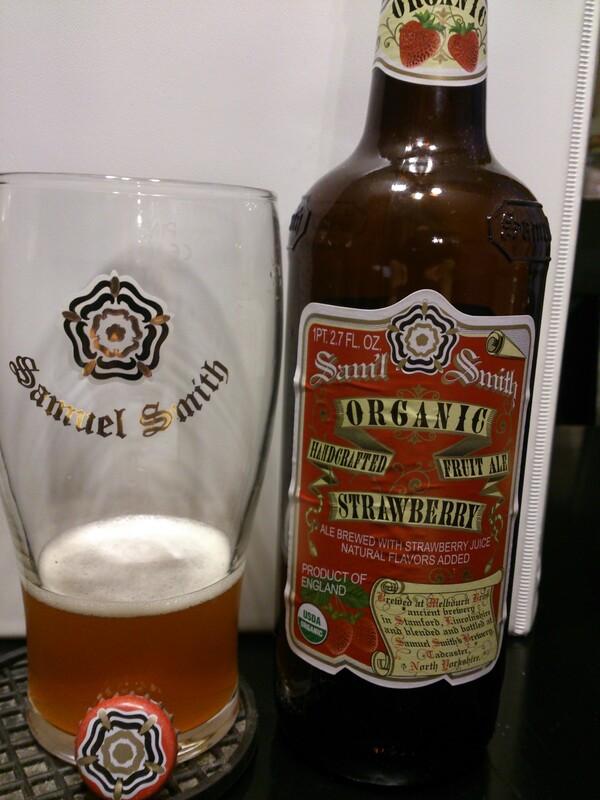 Light and crisp strawberry jam scent mixed with a bit of sweet malts. There are also mild undertones of the standard sour ale aroma. Medium bodied with a moderate amount of carbonation. 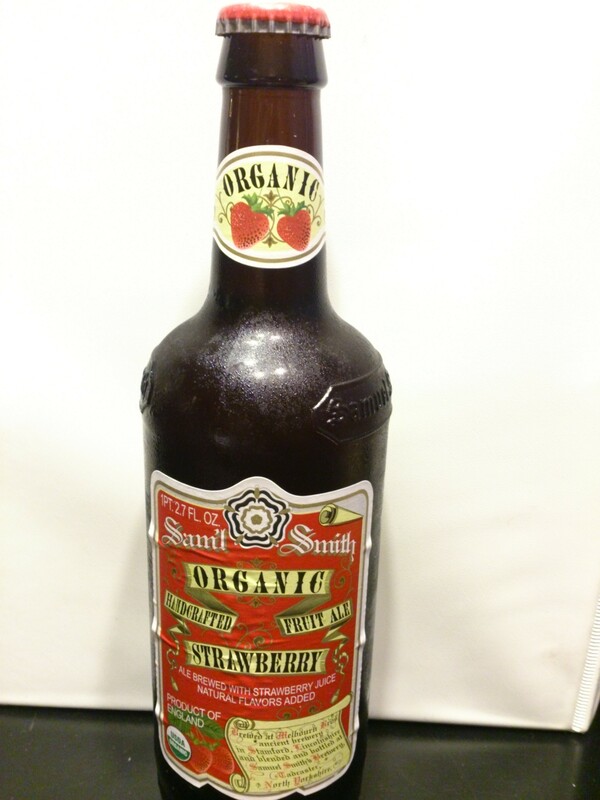 Sweet, strawberry cider like taste, prevalent but not overpowering. Subtle light or honey-blonde style ale flavors are also prevalent. 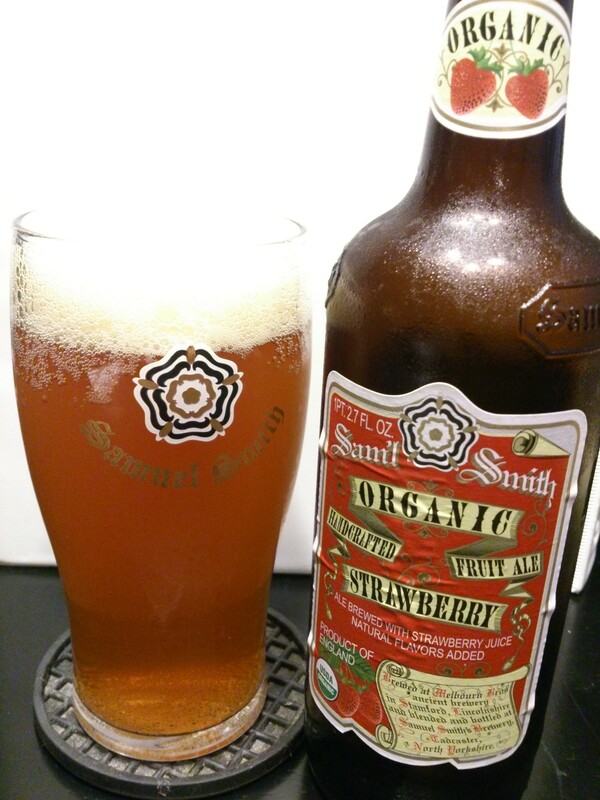 This sweet and fruity beer is pleasantly refreshing; something to drink on a warm summer evening. I think it could easily replace a glass of lemonade or sweet tea on any occasion that would call for it. Not the tastiest beer I’ve ever had, one at a time being enough, but definitely not unpleasant in any way. 6.5/10.